World Wide Travel One Agency Group is now a member and shareholder of Ensemble Travel Group as of January 1, 2015. 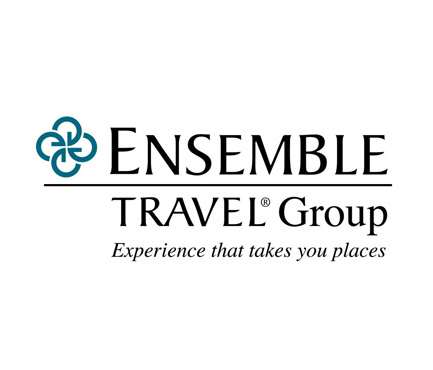 Ensemble Travel Group is a North American based travel organization with over 850 professional travel agencies in Canada and USA. Ensemble Travel Group provides privately held travel agencies with extensive range of exclusive programs that allow the travel agency to offer its leisure and cruise clients with a host of new benefits, services and amenities only available thru an Ensemble Travel Group member agency. "We are delighted to join Ensemble Travel Group and become a member of this exclusive and prestigious group of travel agencies who excel at providing excellent in leisure and cruise travel" commented Brianne Campbell, Assistant Branch Supervisor . "We now can offer our leisure and cruise customers with a whole new range of products to consider when booking their next trip” stated Campbell. Our new exclusive benefits and services make booking with World Wide Travel One even a better decision now for clients." Ensemble Travel Group provides over 300 Hosted Cruise Sailings featuring on board host, private parties and complimentary shore events. Ensemble Travel Hotel And Resort Collection gives us access to exclusive and special rates at more then 550 Five Star Hotels around the world. Ensemble Travel Radius Hotel Program offers 40,000 hotels to select from in making your accommodation benefits and so much more. World Wide Travel One Agency Group is a privately held travel management company in the Province of Ontario providing business and leisure travel services with offices in Northern and Southern Ontario. Established on September 1, 1960.